Amega (official website) forex broker, AMEGA brand name is owned by 1XCorp N.V. AmegaFX company offers: More than 100 different currencies to open a trading account, More than 40 currency pairs, cryptocurrencies, metals, oil, Low spreads from 0.5 pips, Leverage up to 1: 1000. AMEGA does not render electronic trading services to EU (Austria, Belgium, Bulgaria, UK, Hungary, Germany, Greece, Denmark, Ireland, Spain, Italy, Cyprus, Latvia, Lithuania, Luxembourg, Malta, Netherlands, Poland, Portugal, Romania, Slovakia, Slovenia, France, Finland, Croatia, Czech Republic, Sweden, Estonia) Australia, Canada, Japan, USA residents, and may not render services to residents of some other countries. Amega company offers a variety of trading account options: training, cent, standard, swap-free accounts. There are no restrictions on the size of the minimum Deposit, which is especially important for novice traders, often limited in the size of their trading account. In addition, multi-level affiliate system allows you to receive up to $ 16 from each lot. One of the best modern trading terminals in the industry, MetaTrader 5, is available for clients, which includes all the functionality of the previous classic version of MetaTrader 4, as well as many additional useful functions. For example, trailing stop, “floating” stop-loss, which allows you to reliably and efficiently protect open profitable positions. 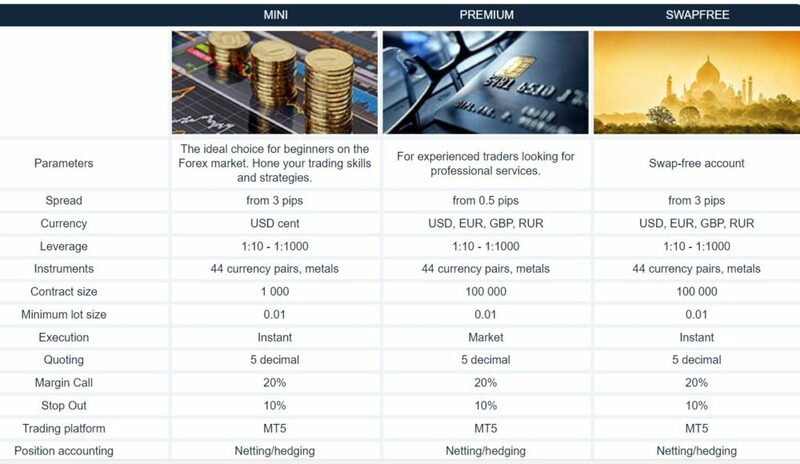 Not everyone knows that MetaTrader 4 offers management of trading positions through the system of “orders” -special software entities, and MetaTrader 5 is focused on stock trading, where the main representation of the trader’s obligations is its total net position, and orders in it are what in fact should be – orders to buy or sell a financial instrument. For example, in MetaTrader 4 the transactions that performed the request of the trader, MetaTrader 5 such information is available. From the competitive advantages, we also note the instant and interest-free Deposit and withdrawal of funds, which is most convenient for professionals who consistently earn on the market and are interested in minimal costs in this area. Customers can choose from more than 220 popular payment systems, which allows you to forget about the problems with the input/output of funds (for example, long wait or high interest, “eating” part of the profit). Experienced traders know the importance of this unobtrusive side of the brokerage company, which newcomers often do not pay due attention to. You can perfectly master the methods of fundamental and technical analysis; instantly respond to the news; develop and successfully use your own trading system that allows you to consistently make a profit – but if there are problems with withdrawal – it will significantly complicate your work. The company has regular bonuses for clients in the amount of up to 100% on deposit, which can offer not every broker. It is important to note that the bonus is involved in drawdown. Numerous contests with cash prizes make trading even more interesting. High-quality author Analytics helps beginners to understand the difficult market conditions, and professionals – to compare their understanding of market realities with the opinion of experienced financial analysts. Technical support of the company multi-lingual (in 29 languages of the world) works round the clock.